본 연구는 〈미생〉의 사례를 중심으로, 재매개의 이중논리가 서사 관습을 통해 현실감과 환상성을 구현하는 방식을 분석하였다. 그 결과, 통합체에서 비매개성은 선형적 이야기·예측 가능한 결말·다중플롯·닫힌 결말로, 계열체에서는 입체적/전형적/현실적/실제인물의 출연·일체화된 공간으로 나타났다. 담화에서 웹드라마는 일관성 있는 시점과 낮은 서술의 중개성을, 드라마는 자연스러운 화면구성과 배경음악과의 일치를 통해 비매개성을 제시했다. 반면 이야기 차원에서 웹드라마는 단일/시간왜곡의 플롯·예측하지 못한 열린 결말을 통해, 드라마는 시간왜곡으로 하이퍼매개성이 나타났다. 계열체에서 웹드라마는 평면적인 인물로, 드라마는 비현실적인 인물과 이질적 공간 설정으로 하이퍼매개성을 드러냈다. 담화에서 인위적인 화면 구성이 재매개 콘텐츠에서 동일하게 나타났다. 하지만 비매개성은 디지털 기술을 활용하여 경험적 현실감을, 이야기 차원에서 정서적 현실감을 강화하고 있었다. 또한 계보학적 측면에서 웹드라마는 하이퍼매개성이 두드러진 뮤직비디오를, TV드라마는 비매개성을 강화하여 영화를 재매개하는 차별화된 양상을 보였다. 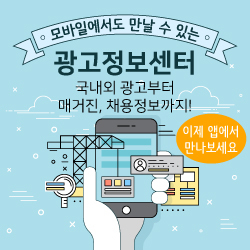 마지막으로 비매개/하이퍼매개와 현실감/환상성이 열린 개념이라는 점과, 재매개 콘텐츠가 모여 커다란 이야기 세계를 만들 수 있는 가능성을 제시하였다. This study analyzed the way how dual logic of remediation operates and realizes reality and fantasy through the convention of narrative focusing on remediation case of 〈Misaeng〉. As a result, immediacy appeared through linear story, predictable closed ending, multi plot syntagmatically, and appearance of rounded/typical/real/actual character, setting of unified place paradigmatically. At the level of discourse, webdrama showed immediacy through consistent view and intermediary of low level narrative while TV series showed immediacy through natural composition of screen and accordance with background music. Meanwhile, at the story level, the logic of hypermediacy appeared through single/time wrap plot, unpredictable open-ending on webdrama, and composition of same formality in front and back on TV series. Also, webdrama revealed the presence of media with flat characters while TV series revealed it with unreal characters and setting of disparate place. At the level of discourse, both webdrama and TV series showed artificial composition of screen to operate hypermediacy. However, dual logic improved empirical reality with hyper-real, concealed expression using computer graphic technology and expanded emotional reality with the expansion of story of webtoon. Also in genealogical dimension, webdrama remediated a music-video, while TV series remediated a film. And division of dual logic is discussed as variable concept. Lastly, on the process of remediation, possibility of building to story-world is suggested.